Marketers have more customer insights at their disposal than ever. Buyer Personas can be one useful tool to turn this customer data into a story. 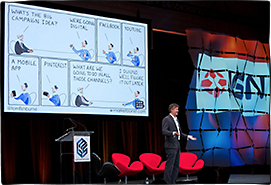 They can help capture an abstract target audience as a tangible character sketch. But buyer personas are only as useful as what they help you to do. Marketers can get carried away with the fiction. I’ve literally seen “watches Game of Thrones” in the personality sketches of buyer personas for enterprise software. 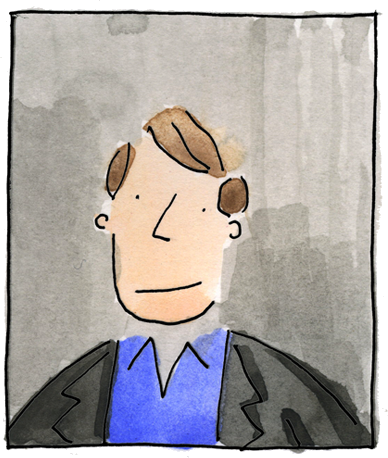 These personality-driven personas may read well, but aren’t necessarily actionable. This is particularly apparent when sharing buyer personas with the rest of the organization. Ideally, buyer personas can be a useful filter for the entire company to help prioritize creative, tactics, and executions. Too often, they lack sufficient insight on why and how the customers buy things. Nowhere is this gap more apparent than than classic chasm between marketing and sales. To address this marketing/sales gap in B2B, there’s a rising emphasis on Account-Based Marketing (ABM). In ABM, marketers explicitly focus marketing tactics on a group of specific accounts, so there’s a closer link to sales at the very beginning of the process. Here’s a cartoon I created earlier this year about buyer personas that say more about the marketing team than about the buyer. I’d love to hear your thoughts on working with buyer personas and account-based marketing. Spot on except “Richard” is 66…. Agreed Tom. I found that it was particularly dangerous to get too deep into “Buyer Persona” when presenting to senior non-marketing executives as they would often take them literally and lose focus on the main points! This is fantastic! 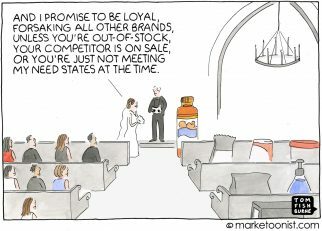 Marketers, please stop making up stupid stuff and build personas that tell the true story. Interview buyers to understand how, when and why they make the buying decision you want to influence. Laughing but this is SO sad. 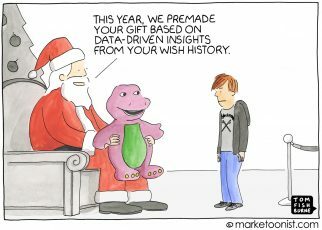 Like any complex tool, personas can be misunderstood, misused, and give crap results, but in the right hands, and right context, can be very useful. There are really only two aspects to any consumer’s life that are directly relevant to you as a Marketer: one: how do they behave and feel in relation to your category? (This can be a broad definition – e.g. in beer, your ‘category’ could define as any social occasion where drinking might occur.) And two: how do they behave in consuming Media? (Where the definition of Media is as broad as you wish to make it – covering all touchpoints that could carry your Brand message.) 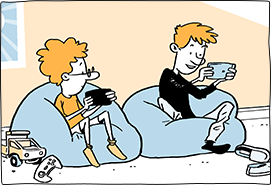 Your cartoon beautifully skewers the ridiculous ‘texture’ we add to consumer understanding, in the name of enriching our insight, but really because we’re all human-interest junkies at the end of the day. Deploy rigor to limit your understanding to their category and Media behaviors, and you’ll be OK.
End of the day, we need to ask what these buyer personas or personae, are supposed to represent. I would think they are expected to represent a “typical consumer”, brought to life via anecdotes, to make them more real and hence relatable. This we would hope, will inspire teams to create product/communication etc which will be more sharper and focused. And by being sharper and focused, we would actually appeal to a much broader audience, than just the “design” audience. Also, completely agree that sometimes we fall off the deep end, by creating personas, that are so detailed, they risk not being relevant, because the audience defined is so niche. As usual, a great message, Tom. Concurred Tom. I found that it was especially hazardous to get too profound into “Purchaser Persona” when displaying to senior non-advertising administrators as they would frequently take them actually and lose concentrate on the principle focuses! 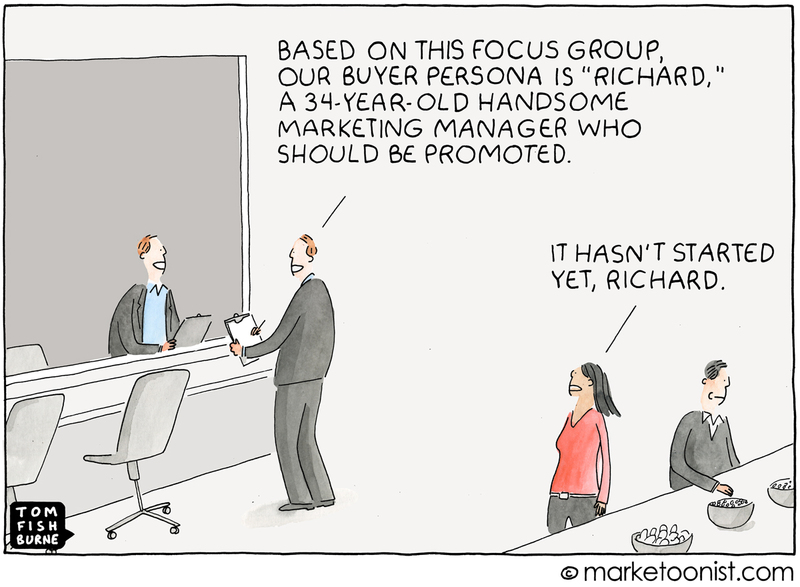 Agree that this approach to persona building is ludicrous IF marketing builds personas for sales. I don’t know the purist guideline on how personas are supposed to be consumed but the way we do it for our customers, personas are more for use by marketing in guiding message, medium, etc. 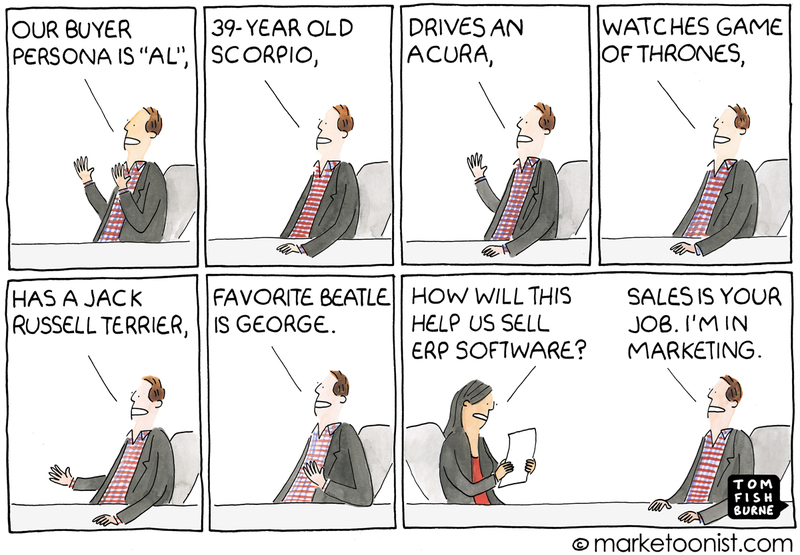 When seen from that usage scenario, the persona described in the cartoon is not all that ludicrous: It can guide the marketer to prefer Acura-related nomenclature in the product (ERP offers scope for using a wide range of names! ), GOT product placement and advertising (assuming they’re possible), and Beatles lyrics and background music in ad copy and videos respectively. Coming to think of it, nearly 25 years ago, the company I used to work for (Wipro Technologies) became the India distributor for Sun Microsystems’ servers. The launch ad proved very popular. I still remember the leader in the ad copy: “Here comes the sun”, a famous Beatles number! Not sure whether the sales / marketing manager had developed any persona that showed that a typical Sun buyer was a Beatles fan but, considering that he was called Sudip Nandy and went by the initials of SUN, the leader was surely a double – if not triple – pun!